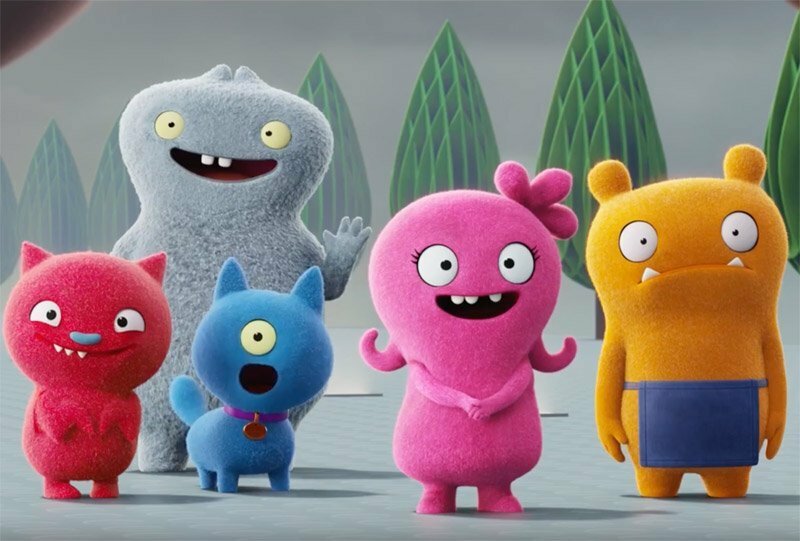 STXfilms has revealed the first trailer for the UglyDolls movie, starring the acting and singing voices of Kelly Clarkson, Nick Jonas, Janelle Monáe, Blake Shelton and Pitbull. The film is inspired by the unique and beloved global plush toy phenomenon launched in 2001. Check out the UglyDolls trailer below! In the adorably different town of Uglyville, weird is celebrated, strange is special and beauty is embraced as more than simply meets the eye. Here, the free-spirited Moxy and her UglyDolls friends live every day in a whirlwind of bliss, letting their freak flags fly in a celebration of life and its endless possibilities, occasionally looking to the sky, where a new UglyDoll will appear and be embraced by the community. Moxy (Kelly Clarkson) loves her square-peg life in this round-hole town, but her curiosity about all things leads her to wonder if there’s something – anything – on the other side of the mountain which nestles Uglyville. Moxy gathers a group of her closest friends and sets off to find what’s on the other side. Also starring Wanda Sykes, Emma Roberts, Gabriel Iglesias, and Wang Leehom, UglyDolls is set to open on May 10, 2019.